Last week, Senator Rand Paul launched an old-fashioned filibuster, speaking for nearly 13 hours against the Obama Administration’s reluctance to rule out domestic drone attacks on American citizens. This comes in the wake of last month’s release of a secret White House white paper that argues that an “informed, high-level” official of the U.S. government may legally order the extrajudicial execution of Americans abroad he or she believes to be an imminent threat “associated” with al-Qaida, even if there is no evidence they are in engaged in any active plot. The Senator and other lawmakers have begun to ask the next logical question: does the President believe he has the power order drone strikes against citizens suspected of crimes at home? When our Founding Fathers wrote the Constitution, their model for the Presidency—General George Washington—staunchly defended U.S. citizens’ lives and liberties. Our Founders fought to create a country in which Americans were protected from their own military. During the Revolutionary War, American Loyalists opposed our Independence. In fact, during the struggle, only about 40 to 45 percent of Americans were active patriots, while approximately the same numbers where indifferent or uncommitted. And the final 15 to 20 percent supported the British. Likening these Americans to “Spiders, Toads, [and] Snakes,” John Adams colorfully described them as “the most despicable Animal in Creation.” But at the same time, trampling the rights of even such a “despicable Animal” violated the Americans’ own republican principles. Some of these Loyalists actively took up arms against their nation. These men were shot on the battlefield—Washington had no qualms about protecting his people from imminent attack. If you charged at Washington with a musket, he would not hesitate to put you down. However, other Loyalists were merely suspected of treasonous acts, speaking out against the revolution, and breaking other laws. This distinction between the charging violent threat vs. the mere lawbreaker was crucial. Washington gunned down the former and protected the rights of the latter. Take the saga involving the colonial mayor of New York City, David Mathews. A known Loyalist who had been appointed to his post by the royal governor, he became embroiled in a plot to assassinate Washington. Like any good story, this tale of intrigue began with a mysterious woman. While accounts differ, one states that on a warm June afternoon in 1776, this woman insisted on speaking privately with Washington. Taking her aside, the general learned of an “infernal plot”: the woman claimed to have witnessed one of Washington’s bodyguards poisoning his peas for that evening’s dinner! The unflappable Washington was said to have reacted calmly and decisively: he threw the peas into the yard, where some unlucky hungry chickens swiftly met their demise. Convinced that the woman’s revelation was true, he moved to eradicate the threat. Times have changed dramatically, of course, but drone strikes nevertheless mirror other methods of remote killing available during the Revolution. Washington had riflemen and artillery with which he might mount a targeted surprise attack from a distance, like we do now with drones. But Washington never ordered his sharpshooters to pick off Mathews or even use his spy network to take him out. Washington refused to adopt a policy of summarily executing Americans. Based upon his understanding of the laws of war and his role as the American commander in chief, that would have been a violation of their rights as citizens. Attorney General Eric Holder responded to Paul last week that the President lacks authority to use drones to kill an American on U.S. soil who is not engaged in combat. But he still left the door open by neglecting to define “combat.” He would be much more squarely in line with Washington’s precedents if he were to definitively state that the President can potentially use a drone to defend the nation from a crazed American driving a plane into the White House, for example, but also assure us that the Administration cannot use drones against Americans accused of misdeeds. Despite great evidence that Mathews was a central part of a conspiracy to kill him, Washington left the determination of guilt to the courts and only struck those men running at him with guns. Logan Beirne is an Olin Scholar at Yale Law School and the author of the forthcoming book Blood of Tyrants (Encounter Books, April 2013). Logan Beirne is an Olin Scholar at Yale Law School and the author of Blood of Tyrants: George Washington & the Forging of the Presidency. Prior to his appointment at Yale, Logan practiced as an attorney with the law firm of Sullivan & Cromwell in New York City and was a Fulbright Scholar at Queen’s University. He received his JD from Yale Law School, where he was a Coker Fellow and awarded the Edgar M. Cullen Prize for his constitutional scholarship. His writings have appeared in the New York Post, USA Today, and numerous other publications. Logan has served on the boards of directors for multiple charities and is admitted to the New York and Connecticut Bars. 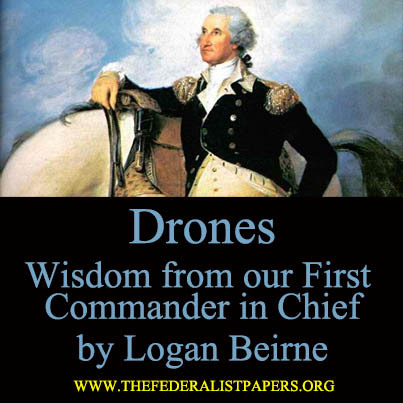 Logan’s passion for the Revolution is in his blood—he is directly descended from Revolutionary War patriots and his family tree includes the “Father of the Constitution,” James Madison. Some of Washington’s papers were discovered in Logan’s ancestor’s storage chest.